The Chief of Office of the Secretary for Social Affairs and Culture of the Macao Special Administrative Region Government, Ip Peng Kin, together with the delegation from Macao, attended the 3rd Global Mazu Culture Forum (“the Forum”) and the 20th China - Meizhou Mazu Cultural Tourism Festival on Meizhou Island in the city of Putian, Fujian Province on 17 – 18 November, and met with Mayor of Putian, Li Jianhui, and Deputy Director of the Taiwan, Hong Kong and Macao Affairs Office of the Fujian Provincial People’s Government, Liu Lianghui, among other personages. 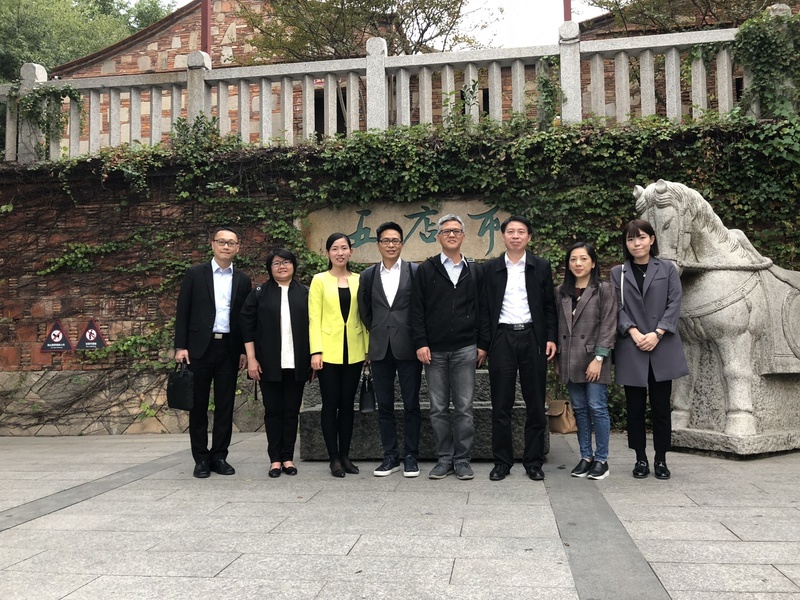 The delegates from Macao include Deputy Director of Macao Government Tourism Office (MGTO), Cheng Wai Tong, Head of Destination Marketing Department of MGTO, Betty Fok, and representative of Cultural Affairs Bureau, among others. 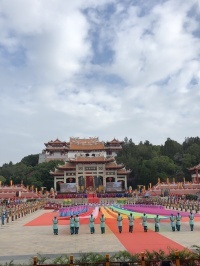 The Global Mazu Culture Forum is jointly organized by the Ministry of Culture and Tourism of the People's Republic of China, Ministry of Natural Resources of the People’s Republic of China, Chinese Academy of Social Sciences, Macao Special Administrative Region Government and Fujian Provincial People’s Government. Vice Chairman of the National Committee of the Chinese People's Political Consultative Conference, Zheng Jianbang, Counsellor of the All-China Federation of Returned Overseas Chinese, Lin Zhaoshu, Chief Planner of the Ministry of Natural Resources of the People’s Republic of China, Li Yongjie, member of the leading Party members’ group of the Fujian Provincial People’s Government, Guo Ningning, and Vice Chairman of the Fujian Provincial Committee of the Chinese People's Political Consultative Conference, Ruan Shiwei, attended the opening ceremony together with other guests. During the opening ceremony, former Secretary of Agriculture and former member of Congress of the Philippines, Emil Lao Ong, Chief Planner of Ministry of Natural Resources of the People’s Republic of China, Li Yongjie, Director of the Institute of History of the Chinese Academy of Social Sciences, Bu Xianqun, member of the leading Party members’ group of the Fujian Provincial People’s Government, Guo Ningning, and Chief of Office of the Secretary for Social Affairs and Culture of the Macao SAR Government, Ip Peng Kin, delivered their keynote speeches among other guests. 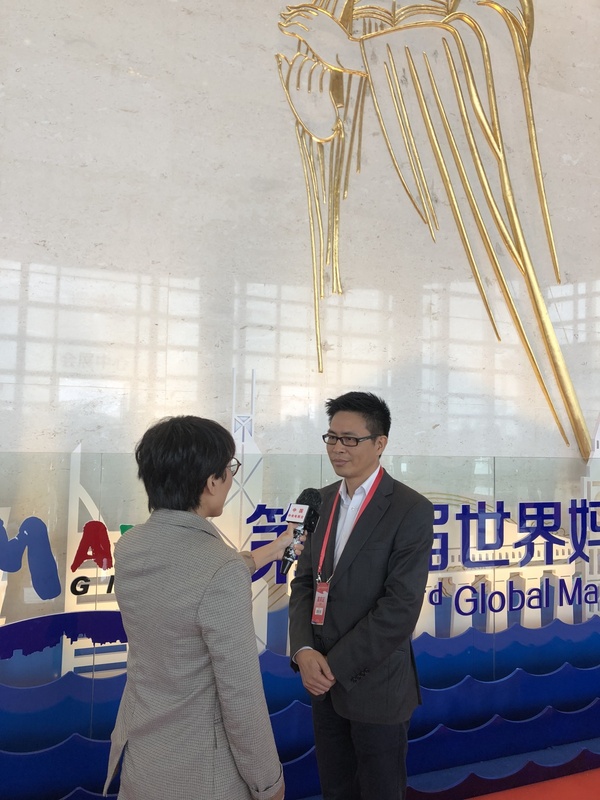 In his keynote speech, Chief of Office of the Secretary for Social Affairs and Culture, Ip Peng Kin, shared his insights into Mazu culture in Macao as the key topic. He indicated that Macao was one of the most ancient crossroads of the East and West cultures in the Far East. Today, the Maritime Silk Road is included in the Belt and Road Initiative as a historic symbol. As the times continue to move forward, Macao has once again developed into a major hub on the Maritime Silk Road, with Mazu culture resurfacing as a significant component. To become part of the national development, Macao has to strengthen and advance its urban developments. 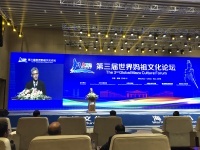 Our Country has placed Macao on the avenue to become a “world centre of tourism and leisure” and a “commercial and trade cooperation service platform between China and Portuguese-speaking countries”, which has well defined the mission and role of Macao in the Belt and Road Initiative. Through transformation into a world centre of tourism and leisure, Macao is rising as a world-class leisure and travel destination set to deliver a far-reaching impact that unites the people, stands through the history, spreads across the civilization and extends an artistic appeal. 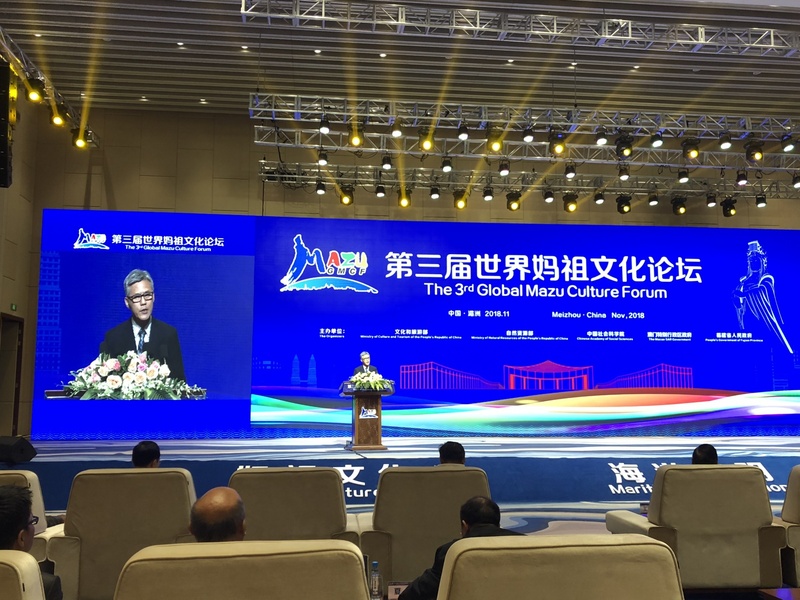 I believe the city’s development into “one centre and one platform” will help to bring people together and facilitate trade, providing a sustainably strong pillar for the Belt and Road development towards new milestones. 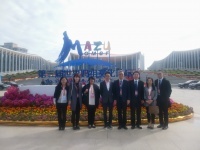 The 3rd Global Mazu Culture Forum comprises one themed forum, six sub-forums and eight supporting activities. 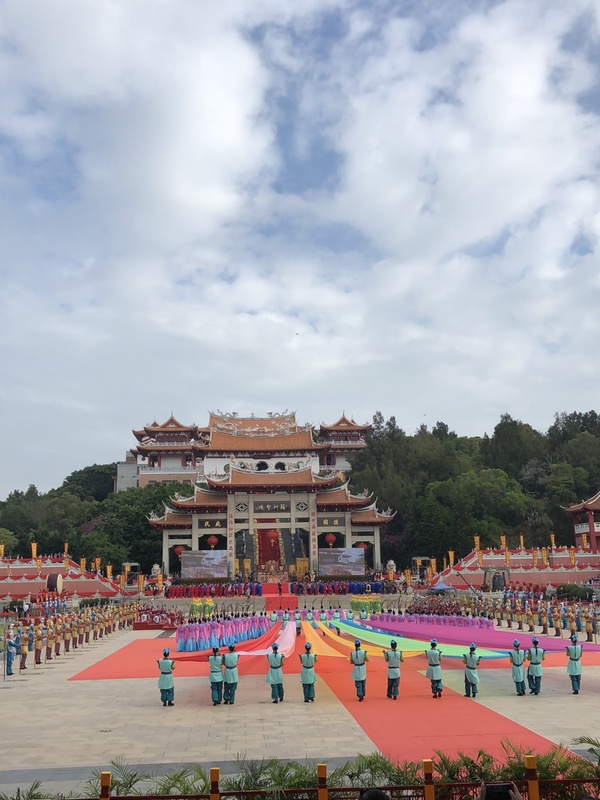 The 20th China - Meizhou Mazu Cultural Tourism Festival was also held concurrently. 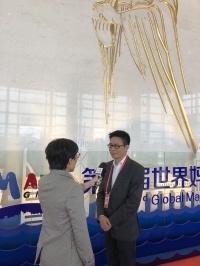 In a media interview during the event, MGTO Deputy Director Cheng Wai Tong remarked that Mazu culture can be an enhancer for exchange and cooperation between Fujian and Macao. 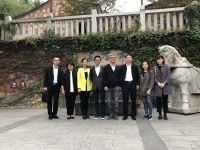 In the course of their stay in Fujian, the delegation visited the Wudianshi Traditional Blocks in Jinjiang for a familiarization visit to learn more about how the bungalows built in the old days are transformed into a cultural scenic spot. At present, daily flights are operated between Macao and Fujian. In the first ten months of 2018, Macao has welcomed about 740,000 visitors from Fujian, which marked a year-on-year rise of 7.7% and made Fujian stand as the third largest contributor of visitors to Macao among other Mainland provinces.